The text of my talk for the Tiptree Symposium, given on December 4, 2015, is out now in the April 2016 issue of the literary science fiction journal The Cascadia Subduction Zone. In ‘“I Begin to Meet You at Last”: On the Tiptree-Russ-Le Guin Correspondence’ I spoke about Alice Sheldon’s exchanges with her two closest pen-friends, and more generally about archives and letters, friendship and the joy of encountering like minds. If you wait long enough for it to load, you can watch the talk on video at http://media.uoregon.edu/channel/archives/10353. 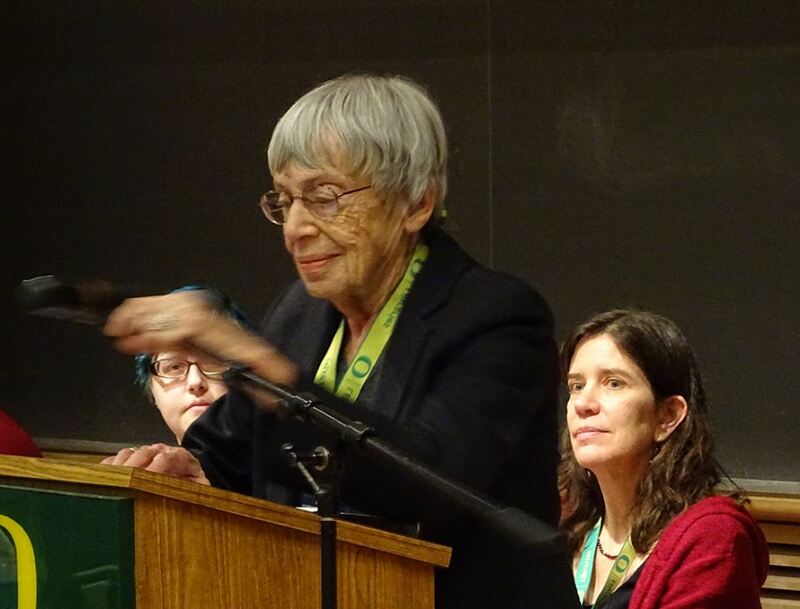 In part 2 of the symposium video, http://media.uoregon.edu/channel/archives/10366, at about 26:15, you can hear Ursula Le Guin read the magnificent letter she wrote to Alice Sheldon after Alli ‘came out’ to her as Tiptree.